Nootropics have become extremely popular in recent years because of all the benefits they have to offer. 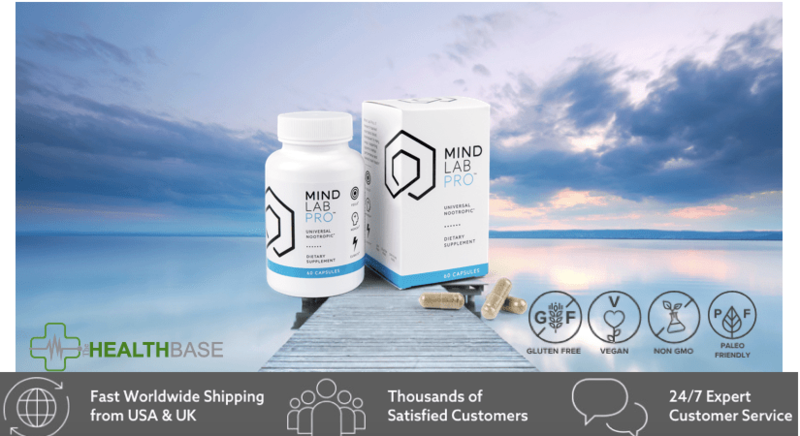 If you want to start thinking more clearly and raise your energy levels on a daily basis, Mind Lab is one product that is worth looking into. This brain health supplement has been purchased by thousands of people all over the world, and it’s one of the best options we recommend on this site. This nootropic has a special formula that was specifically designed to improve multiple aspects of cognitive performance, including memory, focus, and overall mood. The combination of powerful ingredients in this supplement has different affects on the brain to preserve and improve mental faculties. It is completely natural and has the potential to help anyone who takes it. Some of the ingredients in Mind Lab Pro help with improving brain circulation, which can help with reducing toxins that inhibit the full potential of one’s overall cognitive function. This formula is designed to affect the brain in very specific ways that cause improvements in mental performance. This is one of the few nootropic supplements that is completely based on science rather than pseudo-science or even nothing at all. It can also help with creating new brain cells and establishing stronger neural connections. Are There Any Drawbacks of Taking This Product? Who Should Take Mind Lab Pro? All of the ingredients found in MindLabPro are totally natural. These ingredients are what make this supplement so powerful and effective for so many people. ​Citicoline: This ingredient boosts acetylcholine levels in the brain, which can help with improving one’s memory and focus. It can drastically improve one’s ability to multitask as well as learn. As a precursor to choline, it can actually increase the rate at which new cell membranes in the brain form. N-Acetyl-L-Tyrosine: Tyrosine aids in the restoration of certain neurotransmitters in the brain, which can improve one’s overall mood. It is a key ingredient in this supplement for raising energy levels as well. Bacopa Monnieri: Increases production of key enzymes that are needed to shield the neurons from dangerous free radicals. Research has shown that it can potentially help with blood flow in the brain as well. This particular supplement uses a special extract with various compounds that are quite powerful. Lion’s Mane Mushroom: This ingredient can also drastically boost brain health by regenerating brain cells and protecting important parts of the brain. Some studies have revealed that it can actually reduce feelings of stress and anxiety. This is one of the more important ingredients in this supplement when it comes to the mood benefits it offers. Vitamin B6: All types of B vitamins can help with preserving and enhancing brain health, but these ones in particular have been shown to have passive benefits. Vitamin B6 can help with increasing energy levels as well as cerebral circulation. It also helps to create new cells that keep the immune system strong and healthy. Vinpocetine: This chemical is sometimes used to help stroke victims, and it can improve memory and overall cognitive function. L-Theanine: This amino acid is a common ingredient in nootropics because of its proven ability to increase beta and alpha brain waves. This can potentially create a more relaxed feeling and even increase creativity in some people. It fights off NMDA receptors, which work to limit the amount of glutamate that is produced our bodies. This is a natural stimulant that can help with midday fatigue without the crash later on. Phosphatidylserine: This chemical is naturally produced by the brain and plays an important role in the fluidity of brain cell membrane. It helps promote maintenance of the neurological connections, which can result in improved memory and mental focus. Maritine Pine Bark Extract: The extract of maritime pine trees is loaded with antioxidants, which can be of great use for protection against free radicals. It also acts as a neurovasodilator, which results in superior blood flow. Those who consume maritime pine bark extract on a regular basis can experience an overall improvement in cognitive function. Rhodiola Rosea: Helps with improving alertness and reducing stress. It assists in the creation of new neurons, which boosts overall mental performance. Vitamin B12: is included in this supplement’s formula because of its ability to turn carbohydrates into glucose, which can significantly boost energy levels. This vitamin is essential in synthesizing DNA as well as neurotransmitters. Vitamin B9: This works with the other B vitamins to keep homocysteine levels normal. All of these vitamins work together to prevent a decline in cognitive functions, including memory. This product can help with reducing fatigue and increasing energy levels on a daily basis, but it doesn’t have any of the traditional stimulants in it like caffeine. All of the ingredients in this supplement are completely natural, so you won’t have to deal with any unpleasant side-effects. Many people who take this product experience a marked improvement in memory and alertness, which can be beneficial in one’s personal and professional lives. There are potentially huge benefits of taking this supplement, especially for those who suffer from ADD (Attention Deficit Disorder). The increased ability to focus and concentrate on individual tasks can be very helpful to people with this condition. An overall improvement memory is one great benefit of taking this brand's product. Most people’s memory degrades over time, as it is a part of the natural aging process. Taking this supplement can limit the damage to one’s memory over time. This product can help with improving short-term memory, which is useful for many reasons. Those who suffer from depression or anxiety disorders may also find this supplement helpful in dealing with their symptoms on a regular basis. Many of the ingredients found in this product have been proven to help with balancing and improving mood as well as reducing stress. Although not everyone who takes this supplement will reap the same benefits and not the same extent, but most people do notice a definitive improvement in overall cognitive function. All of the ingredients are of the highest quality, and their dosage is within clinical range. You will be hard pressed to find another nootropic supplement that has such a perfect combination of natural yet effective ingredients. This formula targets all of the cognitive functions for balanced and noticeable results. The company that makes this has a policy of full disclosure, which is why you will be able to find every ingredient in it as well as the exact dosage. This is definitely not something that can be said of all nootropic supplements. There is also the pricing, which is pretty fair when you consider everything you get. A lot of these kinds of supplements are priced far too high for what they are, but that isn’t the case here. You won’t find any fillers or additives whatsoever in this supplement, which is unfortunately pretty uncommon these days. It’s clear that the overall formula that this product uses is very effective for anyone who takes it. Each ingredient in this supplement was carefully chosen because of its scientifically proven ability to do everything from improve mental focus to reducing stress. There aren’t a lot of drawbacks to taking this, but some people will get more out of it than others. Unlike many of the other nootropics, this one doesn’t have any caffeine or other synthetic ingredients that act as stimulants. 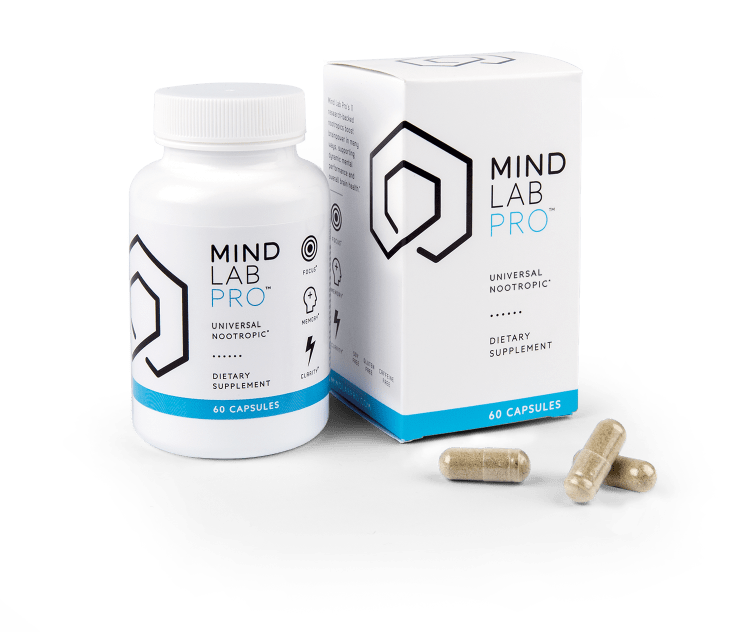 Mind Lab Pro can only be purchased through the manufacturer’s website. The company made a strategic decision not to include their product on Amazon, as they didn’t want it to be associated with other nootropics that you will find being sold online. This company ships its products to the USA, Australia, Canada, UK and most of Europe. If you are interested in getting MindLabPro, you will have a few different pricing options that you should be aware of. You can get a 3-month supply (3 boxes) of this supplement for $195, a 2-month supply (2 boxes) for $130, or a one month supply for $65. This website accepts major credit cards as well as PayPal and AmazonPay. The pricing for this product is fairly standard as far as nootropic supplements go. 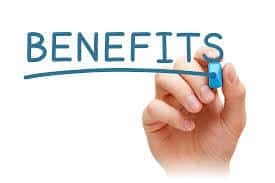 It might be a bit on the high end, but it’s well worth it when you consider all of the benefits it offers. Those who want to improve their overall cognitive function should consider taking this. Anyone who is interested in having a better memory and increased mental focus will find that this product is an excellent choice. This supplement can be beneficial for people of all ages. Younger people will find that taking it on a regular basis can help to preserve a wide range of mental faculties as they get older. Those who have problems with focusing on tasks on a daily basis will especially want to look into what this product has to offer. 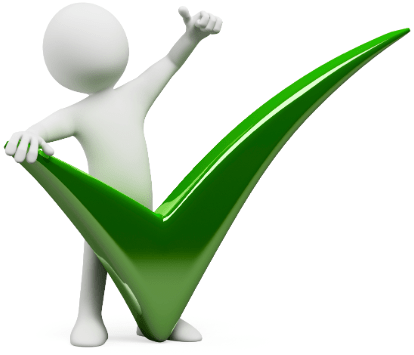 The customer reviews for the company are very positive in general. There are a lot of people who have many good things to say about this product, including how quickly it works. It is not at all uncommon for people who take this supplement to claim experiencing results within just a week or so. Some of these people have Attention Deficit Disorder and say that this supplement has helped them to focus in a way that nothing else has in the past. There are also a lot of people who say that Mind Lab Pro has improved their memory in a noticeable way. One of th8e things that tons of people comment on in their reviews of this product is the absence of traditional stimulants like caffeine. People love the natural but powerful formula this product uses to achieve results. Many of the people who write reviews for this product say that they feel as though they can think more clearly, as if a mental fog has been lifted in their minds. It’s also common for people to comment on how much better they become at their jobs after taking this product. The increase in focus and memory help a lot of people to excel in challenging and stressful work environments. 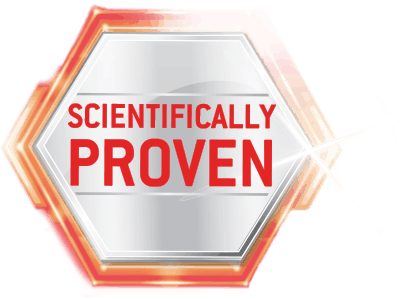 Mind Lab Pro only has nootropics that are backed up 100% by scientific research, so you can be certain that you will get results. Not everyone who takes this product will react to it the exact same way, as it differs from person to person. There is a huge potential for improvement of cognitive function. Unlike many of the other nootropic supplements out there, this one isn’t a scam in any way. There are a lot of useful ingredients at appropriate dosages. There aren’t even any stimulants, so you can maintain the a healthy energy level without the jitters. Because there aren’t any synthetic ingredients, even an allergic reaction is extremely unlikely or even impossible. Women who are pregnant or nursing should consult with their doctor before taking this supplement. It’s also important for those who are currently taking any prescription medications to discuss taking this supplement with a doctor before going ahead. Mind Lab Pro offers an effective solution for those who want to both preserve and improve their mental state of mind. This product has a lot to offer when it comes to improving and preserving cognitive function as a whole. If you want to have a sharper mind and less stress, this is one option that you should explore. It has gained in popularity quite a bit recently, and for good reason. Many people who have taken this supplement have reported experiencing tremendous results within a short period of time. This nootropic supplement has the potential to make a hugely positive different in your life.